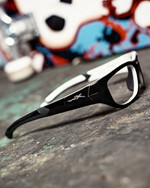 The VICTORY Gloss Black Frame with black rubber at nose piece and temple tips has a playful and stylish look. 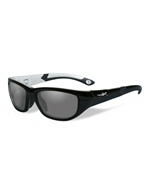 The inside frame is in Aluminum Pearl White color, which underlines the classic cool look. 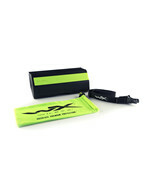 This model appeals to all active kids who are engaging their favorite spare time activity - protected and cool looking. The Wiley X VICTORY sports eyewear is a full-rim frame and available in 4 stunning variants with flashing contrast colors and fits small/medium head size. All Youth Force™ styles are suitable for soccer, basketball, volleyball, racquetball, squash, badminton, paddle ball, tennis, handball and many other sport activities. 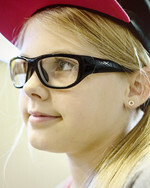 Our Youth Force™ Sports Protective Eyewear meets the stringent ASTM F803 standard. 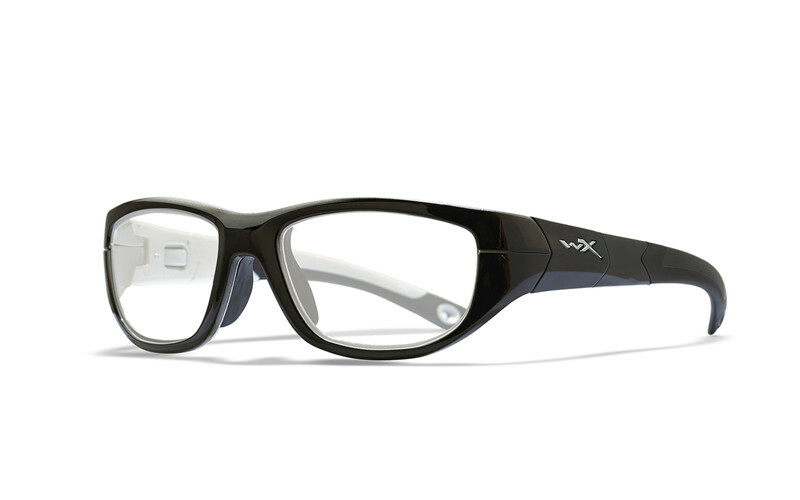 To pass the High Velocity Impact Resistance test, the eyewear must withstand projectiles sized from 40 mm to 65,1 mm fired at a rate of 150 km/h. They must also pass tests for optical performance including Refractive Tolerances, Astigmatism, Power Imbalance, Prism Deviation and many other factors. All Youth Force™ models are equipped with clear safety rated polycarbonate lenses, but they can easily be glazed with prescription lenses by an authorized optician – so children will have maximum eye protection in their sparetime and while engaging in their favorite sports.